I just got my Samsung Gear VR a couple of weeks ago and have been testing it out. It’s a nice headset, light, wide field of view, but I sent it back today for a refund. I will probably get the updated version once it comes out in November, since it looks as though they’re going to be addressing some of the issues I have had with this headset. Here are the problems I’ve had with it. For a mobile headset that only works with one brand of phone — more than that, with only one version of one brand of phone — $200 is way too much to pay. I got mine at a discount, for $100, and I still feel that I overpaid. Now the regular price is going down to $99 as of November. It will be on the market on Black Friday, nice timing for Christmas shopping. It’s still a lot of money to pay for something that is basically a plastic box with two lenses in it, but at $99 its not going to bankrupt anyone, and it does have a nice built-in trackpad and button. My Innovator Edition of Gear VR headset had a second strap that went over the top of the head which just got in my way. That’s going to be gone in November’s consumer release. The headset will also be 22 percent lighter, so it doesn’t need that over-the-head strap anyway. Another thing that kept getting in my way was the outside cover, which comes off so that you can put in your phone. With other headsets, the cover either slides off then back on again, or flips open and closed. On the Gear VR, once you put your smartphone into the headset, the cover doesn’t fit back on — you have to put it down. Which means that it falls behind the couch or the dog walks off with it. I haven’t heard yet whether they’ll fix that in the next release, but from the previews I’ve seen, it doesn’t look fixed. 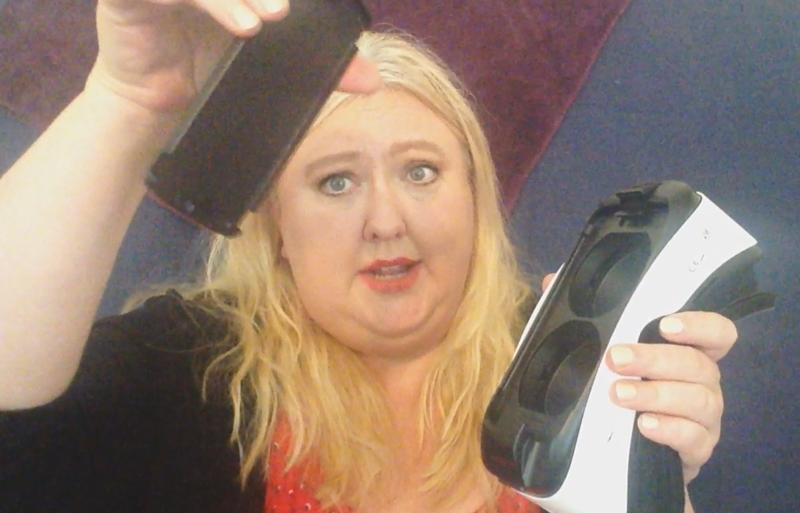 The Gear VR cover that you will lose. And speaking of covers — I have a protective cover on my Galaxy S6. Unfortunately, the Gear VR headset is such a close fit, that I have to take that protective case off in order to use the headset. The Gear VR is the only headset that makes me take off the protective case. That’s pretty annoying. Again, I don’t know if they’ll fix that in the upgrade, but it doesn’t look like it. Another problem, related to the tight fit issue, is that the headset only works with one phone. 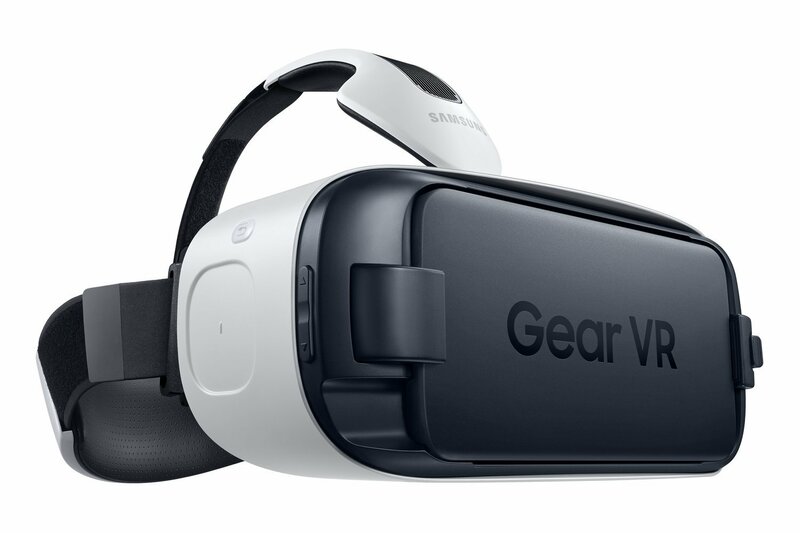 I got the Gear VR that goes with the Samsung Galaxy S6. If I wanted to use it with any other phone, the phone wouldn’t fit. If I had the Note, instead, for example, I would need to buy a different Gear VR headset. And, obviously, if I have a phone made by any other manufacturer, the Gear VR wouldn’t work at all. Samsung has addressed this problem in the next release, but only to a limited extent — the new headset will work with any of Samsung’s 2015 flagship phones. But that’s just four phones — the Galaxy Note 5, S6 Edge+, S6, and S6 Edge. So when you upgrade to a new phone, you’ll also have to get a new headset. There’s a reason for that. They’re not just being petty. Unlike the other mobile headsets on the market, the Samsung Gear VR is not just a dumb box with a couple of lenses in it. There is a touchpad sensor on the side that lets you navigate within the virtual environment, plus a button you can press. To make it work, there’s actually a connector port that the smartphone snaps into, that lets the smartphone communicate with the headset. Personally, I would feel more comfortable spending the money if the Gear VR headset worked with other devices as well, by, say, reverting to a dumb Google Cardboard-compatible mode with other phones. Speaking of the touchpad sensor — on my headset, the touchpad was flush with the side of the phone and I kept having problems finding it by fee. This has been fixed in the next release, as well. The new touchpad is more molded, so that it’s easy to find. At least, having a built-in touchpad means that you don’t need an external controller, right? Wrong! The first game I downloaded, Adventure Time, required a controller to play. And if that wasn’t bad enough, Adventure time was one of only three free games in the app store. Currently, Gear VR has a very, very limited selection of apps. You might say — hey, what about the hundreds of Google Cardboard apps in the Google Play store, and all those YouTube 360 videos that you can watch in virtual reality mode? I can download any of them on my Galaxy S6 smartphone. But you know what happens when I load up one of the apps and then put the phone into the Gear VR headset? It turns off the app and loads up the Gear VR welcome center. It doesn’t want you to play any of the other apps out there. There is a workaround. Reddit user enzo1982 posted that you could use the $1.95 Package Disabler Pro app to turn off the Gear VR application, so that the phone continues to play your Google Cardboard app even after you plug it into the Gear VR headset. I tried it out. It worked — kind of. It was annoying to use, and the quality sucked — the apps would glitch and freeze up. According to the Reddit discussion, enabling developer mode might help. But the effort required to do this was too much, especially considering that I have six other Google Cardboard-compatible headsets I could grab, instead. So if you plan to get a Gear VR, but also want to play all the other apps and videos, get a second headset. Plain cardboard Google Cardboards start at around $5 or less, are easy to use, and, surprisingly, have as wide a field of view as the Gear VR has. Check my virtual reality headset shopping guide to find out where you can buy them. I expect to see Gear VR improve its ecosystem and get more developers making apps for its store. I also hope that Gear VR will come out with Google Cardboard support so that it can play all the other games. There is one super app that Gear VR has that isn’t yet available for Google Cardboard. And that’s the just-released Netflix VR app. I tried it out, and it looks great and works great. You’re in a nice living room, on a nice couch. The graphics quality was good enough that I kept wanting to put my feet up on the coffee table that wasn’t actually there. There’s a giant television screen, and you’ve got your Netflix. This is a very, very nice way to watch Netflix videos. 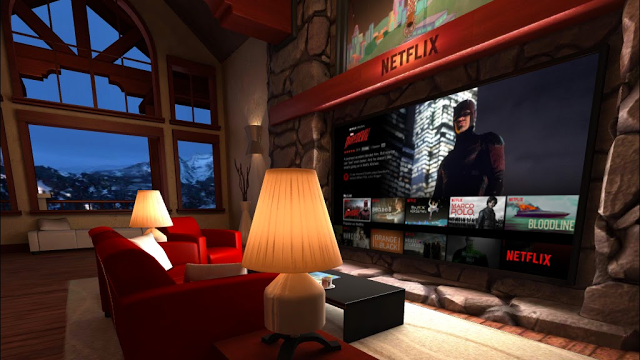 Frankly, I would buy the consumer version of Gear VR just for the Netflix app alone. You can read more about how they created the Netflix app here. Meanwhile, Hulu also announced its own virtual reality application, which will be coming out some time this fall — the official release date and device support hasn’t been announced yet. If Gear VR gets exclusive support for Netflix and Hulu, it will definitely make the headset more appealing to a lot of people, myself included. But I have a feeling that neither Netflix nor Hulu have plans to lock themselves into the Samsung ecosystem. So that means that we’ll get versions for iPhones and other Android phones soon enough. I own a Samsung phone, but I’m not a big Samsung fan. Compared to the iPhone, everything seems off, not quite finished, and inconsistent. That was my experience with the Gear VR apps as well. Instead of one polished, smooth experience, there seemed to be several interconnected apps. I’m still not sure about the difference between the Gear VR’s Oculus app store and the Samsung app store and Milk VR. The main home area for Gear VR is nothing like the cozy living room of the Netflix app — instead, you’re floating in the middle of a room that feels ten times bigger than it should be. Or maybe you are ten times smaller. The furniture and fixtures all seem grossly out of scale. The apps are also difficult to navigate. Despite having a touchpad and a button, I had a hard time finding apps in the app store. There was no way to sort them, or search them, either. 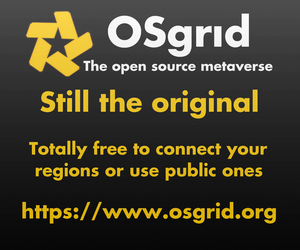 The best way to download Gear VR apps, in fact, is to take off the headset, take out the phone, and open the Oculus app the old fashioned touch-screen way. Though even there, there’s no search function. Probably because the selection of apps is so tiny that you don’t need it yet. I’m sure they’ll be working to improve the interface, but I have to tell you that if Apple comes out with their own versions of this, I’m jumping the Samsung ship so fast that the ground will be lighting up on fire behind me. I will be buying the $99 consumer version once it comes out later on this fall, since I invested in a Samsung Galaxy phone specifically so that I could use this headset, and Apple shows no signs — yet — of getting into the game. If you happen to own one of the compatible Samsung phones, or know someone who does, the Gear VR will make a great Christmas present — for watching Netflix, if nothing else. Then pick up a $5 Google Cardboard-compatible headset to play all the other apps on.